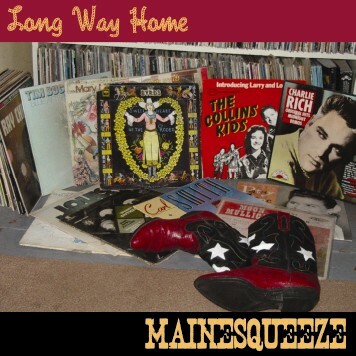 MAINESQUEEZE is a brilliant mix of Rhythm & Roots, Texas swing, folk, R&B and country with 3-part harmonies, hot guitar and pedal steel. From sultry ballads to flat-out fun, they squeeze it all in. Highly revered for their versatility and originality, the band draws on varied musical styles. Their shows are both lively and laid-back and fun too! They've performed with many well-known musicians in their local area and nationally since 1985. Their CD, "Long Way Home" is now a fan/cult favorite! Check it out!